The Symbolist painter Julio Romero de Torres is famous for his portrayals of the archetypal ‘Spanish woman’. 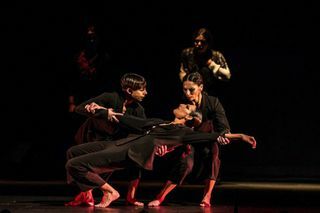 With dramatist Pedro G. Romero, Ursula Lopez, Tamara Lopez and Leonor Leal aim to break all the clichés and stereotypes with this “hypnotizing performance” (ABC, Spain). Painter and Flamenco: J.R.T. - Flamenco Festival 2018 is not available to book, please sign up to our newsletter for updates and offers on forthcoming and available shows. Where is Painter and Flamenco: J.R.T. - Flamenco Festival 2018?